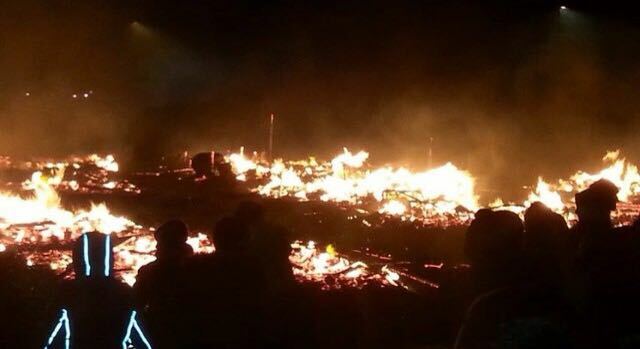 This is the fire in the Calais jungle last night, 2.500 square meters touched. 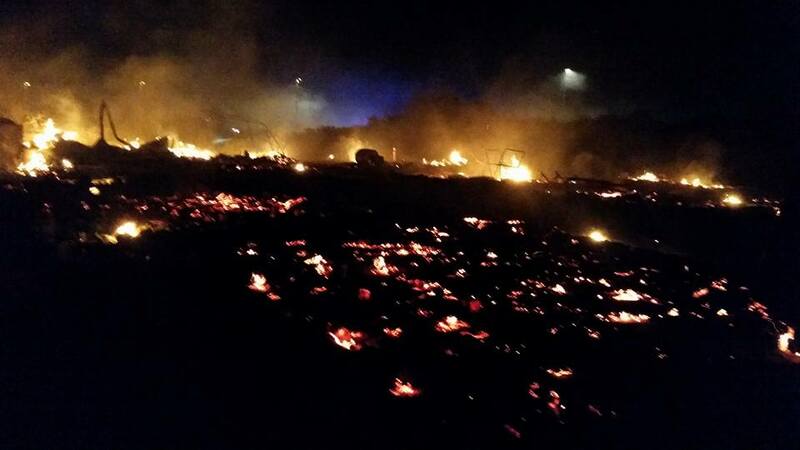 A fire broke out amongst closely crowded tents at around 00:45am this morning. The cause of the fire is said to be a candle. Fire spread quickly due to the wind and people were running around trying to evacuate the area and get people to safety. No major injuries, a few small burns and smoke inhalation problems but no major injuries or deaths. Lots of people’s documents, papers clothes and personal belongings were burnt and destroyed. The fire burnt and spread for around half an hour before fire engines arrived. Apparently the police were on hand trying to put the fire out with the water cannon. The area interested was the Sudanese camp near chemin des Dunes. 60 shelters were destroyed. Most of the jungle have no roads or water points for the fire brigade, it is ‘lucky’ the fire started near the only road that leads to the Jules-Ferry centre. a much larger section of the camp could have gone up in flames if the fire had started elsewhere, perhaps the entire jungle could have gone up in flames. The tribunal of Lille have ordered the construction of roads for the emergency services, but works have not started yet! In the daylight you can see the extent of the damage:. 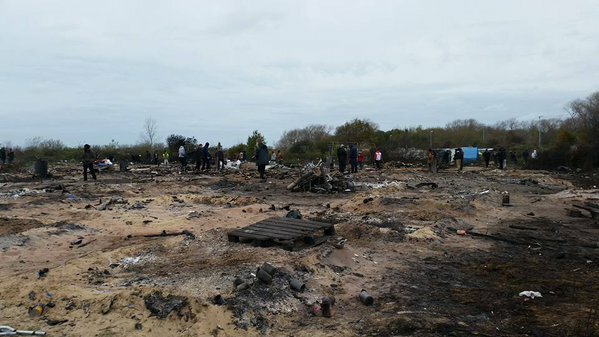 Many people have nowhere to sleep now and no blankets, there is a very urgent need for humanitarian aid to Calais as everything that could have been distributed has been distributed already, and the warehouse is empty, it is very cold at night and impossible to sleep without shelter and blankets. Most of all people need to be in proper housing not in that appalling shanty town.